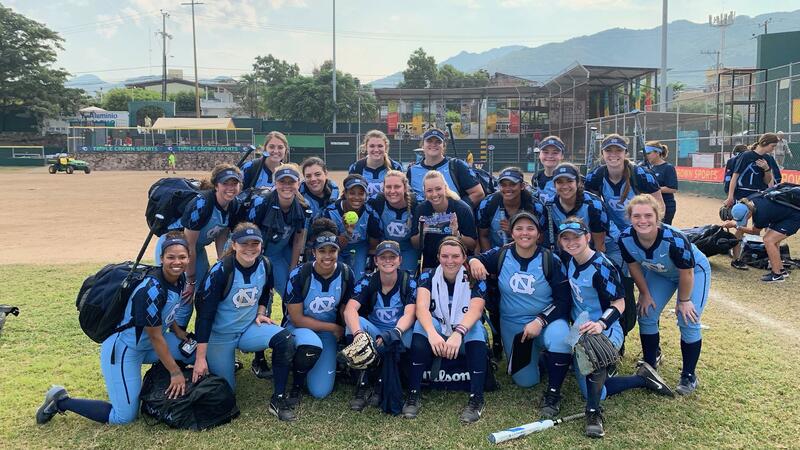 The UNC softball team wrapped up its time in Mexico on Sunday morning with a 4-0 shutout victory over the No. 9 South Carolina Gamecocks as part of the Puerto Vallarta College Challenge. A sacrifice fly by Kiani Ramsey in the first inning proved to be the difference on the scoreboard, but the Tar Heels (2-3) also added three runs in the fifth inning on a home run by Hannah George. Brittany Pickett earned the win on the mound by pitching seven shutout innings and only giving up five hits. With the loss, South Carolina dropped to 3-2 overall so far in 2019. UNC’s next game will be on Friday, Feb. 15 when it hosts Michigan.